A Chocolate Chip Cookie Dough Quest bar turns into a cookie when baked. 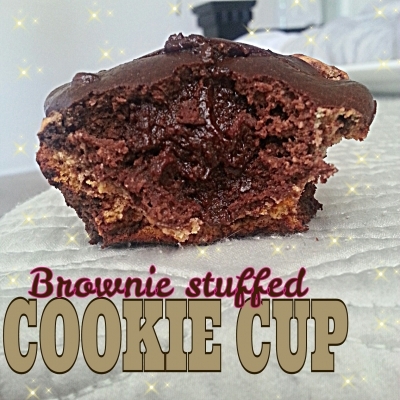 This is a cookie topped with a brownie, and every bit of delicious! Preheat oven to 350. Take the Quest bar half and roll it flat. Place it in a muffin tin so that it lines the bottom and part of the sides. Microwave dark chocolate & coconut oil for 45 seconds. Mash the date and mix it in. 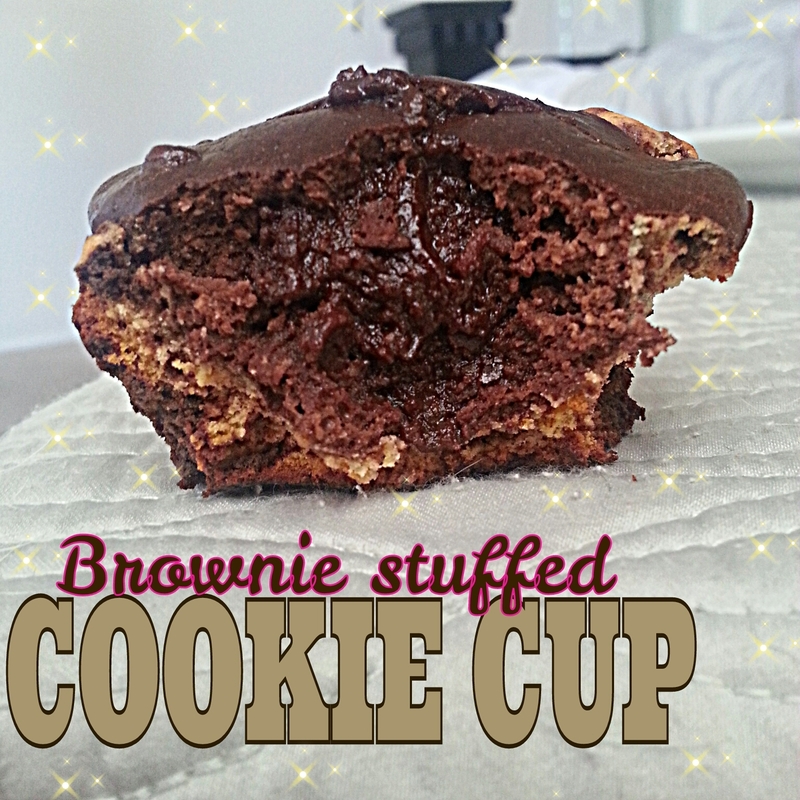 Mix in the rest of the ingredients and pour on top of cookie dough Quest bar. Bake for 13 minutes.